I decided to let curiosity lead the way for today’s journey. 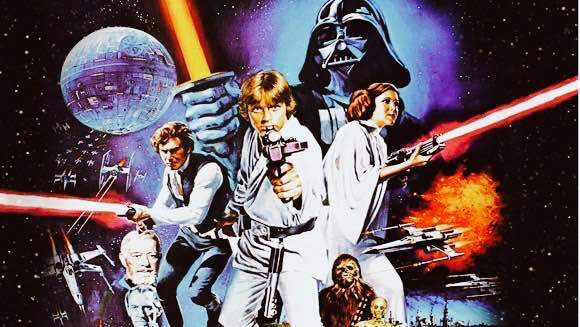 I was aware that May 4th was Star Wars Day, the words “May the Fourth be with you” a play on one of the most famous lines in the movies, “May the Force be with you.” I had fun tracking down the origins of this holiday and looking at trivia and little known facts around this incredible sci-fi series. I found various stories about the pun that became a hashtag and then a holiday. The most commonly held theory is that Star Wars Day was born on May 4th, 1979, when Margaret Thatcher took office as the UK Prime Minister. The Conservative Party allegedly placed an ad in the London Evening News which read, “May the Fourth be with you, Maggie. Congratulations.” The expression took off in the age of social media, linking it to Star Wars and becoming a bigger deal each year, until live events began to be held, initially in Toronto, Canada. There are now Star War celebrations held on this date around the world. 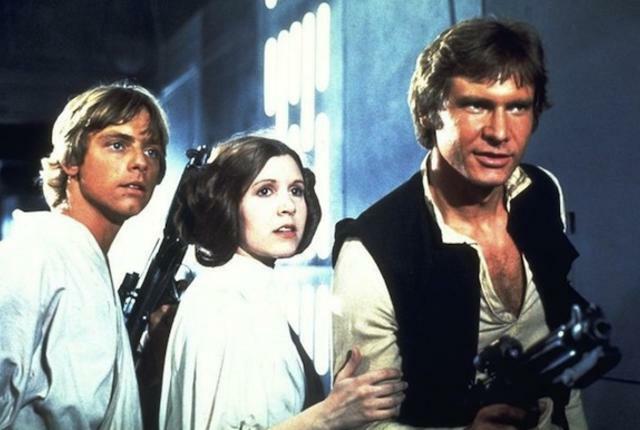 Lucas’ initial proposal in 1973 was rejected by both Universal Studios and United Artists, saying the story was too confusing. 20th Century Fox picked up the story in 1974. The final screenplay for Star Wars was too long. Lucas cut the last two acts, which later became the movies The Empire Strikes Back and The Return of the Jedi. Harrison Ford was not even considered for the role of Hans Solo initially. Lucas brought him in to feed lines to the auditioning actors. Lucas liked his readings so well, he gave him the part after all. Chewbacca’s voice was the first sound effect created. Ben Burtt used a blend of bear, lion, walrus and badger vocalizations. Orson Welles was almost Darth Vader, but George Lucas ultimately decided his voice was too recognizable. Theaters didn’t want to show the movie. Less than 40 theaters booked the film for its release date. 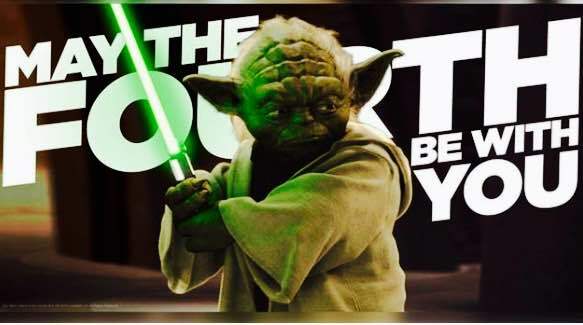 To encourage theaters to show the movie, Fox stipulated that theaters showing The Other Side of Midnight, which was a highly anticipated release, MUST show Star Wars too, which inflated the number of theaters for opening weekend. Needless to say, Star Wars became the highest grossing movie of that time, while The Other Side of Midnight bombed. Yoda originally had a first name. In early drafts, the character was called Buffy. This was later changed to Minch Yoda, and then shortened to just Yoda. Designer Stuart Freeborn modeled Yoda’s face after his own, and used Albert Einstein as the inspiration for Yoda’s eyes. Hans Solo’s best known line was an ad lib. In the exchange between Princess Leia and Solo, before he is frozen in carbonite, Leia says, “I love you.” Solo, who was supposed to respond, “I love you too”, felt that was out of character for the charming rogue that Solo was. He quipped, “I know”. That line became one of the character’s most iconic moments. There is great excitement around Star Wars Day this year, with the long awaited theatrical release of the latest movie “Star Wars: The Force Awakens”, opening in December. This continuation of the George Lucas saga takes place 30 years after Star Wars Episode VI: The Return of the Jedi. 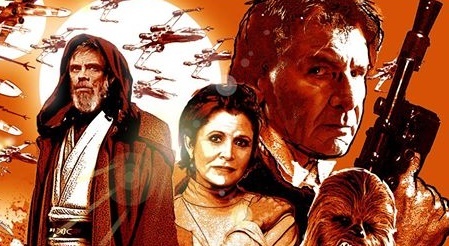 I am looking forward to seeing Hans Solo, Luke and Leia and the new characters that will be introduced. It’s an amazing and long lived franchise. I was 19 years old when the first Star Wars film released. And now….well, I am much older than that! From my perspective, I have a great deal of respect and appreciation for the actors who are reprising their roles, who have aged up as well. 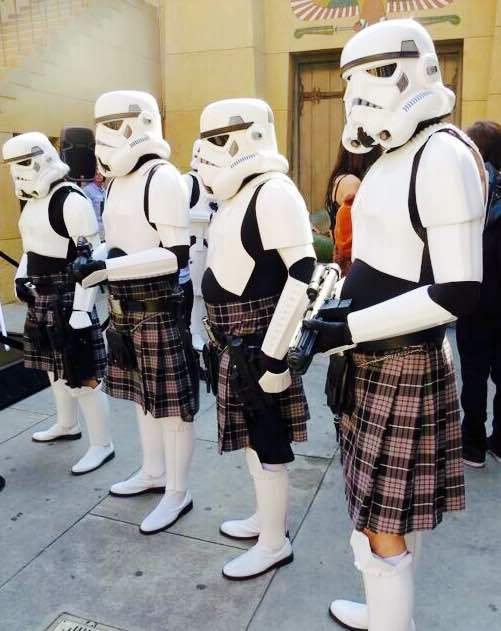 May the fourth…and force…be with us all.